This weekend I was so lucky to be able to go visit my little sister in Kansas City. She is there for the summer for her internship, so I had to take advantage of visiting her while she was there. I haven’t seen her since April for Easter, which is a long time for the two of us to go without seeing each other, so I was beyond excited to see her! I decided to fly because I hate driving by myself now (I used to love making road trips by myself), but with over six hours of driving one way, an hour flight sounded much better! It is always easy to find the best deal through CheapFlights.com, which is how I found a round-trip ticket for under $300! She picked me up from the airport around 6 p.m. on Friday, then we went to her apartment, talked and decided to get barbecue for dinner. 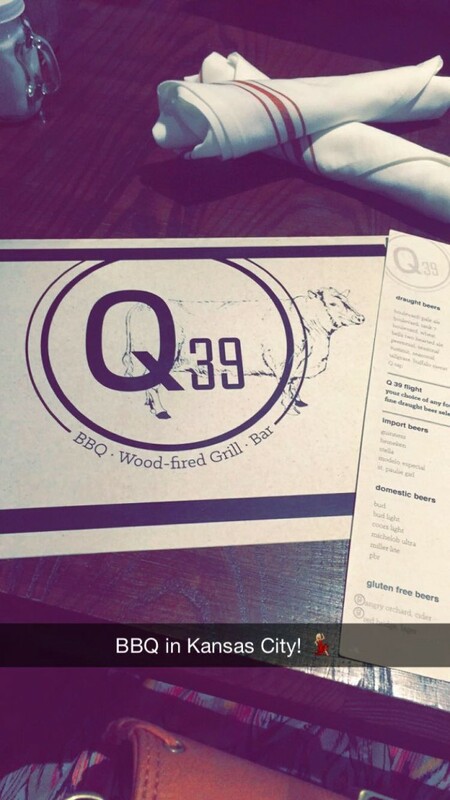 Her intern friends have been raving about a place called Q39, so we checked it out. I HIGHLY recommend it if you are in the area! I ordered the combo platter – which comes with two meats and two sides. 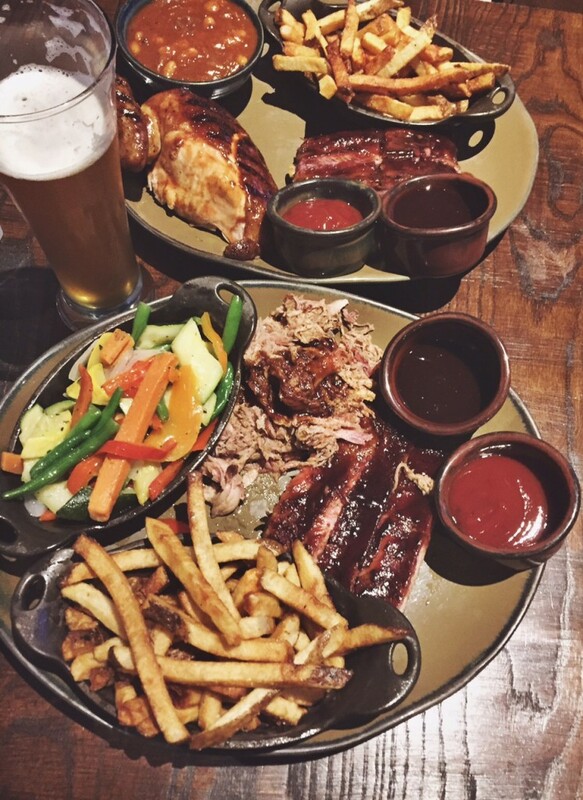 I got ribs, pork, seasonal vegetables and fries (cause I’m a fries type of girl). I also like to try local beers, so ordered a Kansas beer called Tallgrass – I tried the 8-Bit Pale Ale and it sure was tasty! We then decided to venture to a winery about 25 minutes away from her apartment, yet super close to Legends outlets. The Wine Barn is a gorgeous area and it wasn’t busy when we got there, so we got to learn a lot about the business and how the wine is made, when they harvest grapes, etc. 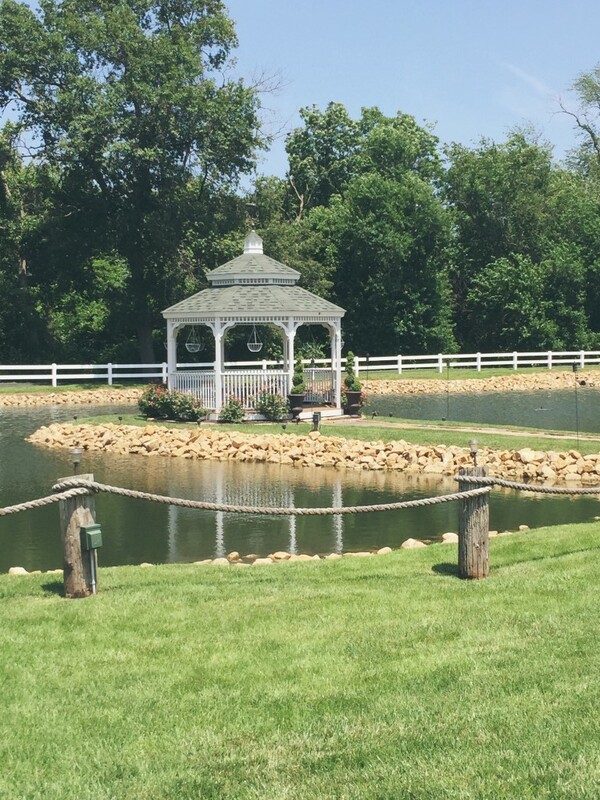 There is also a super cute gazebo and a pond – it was such a gorgeous day, so we spent some time out there talking and enjoying the nice weather. 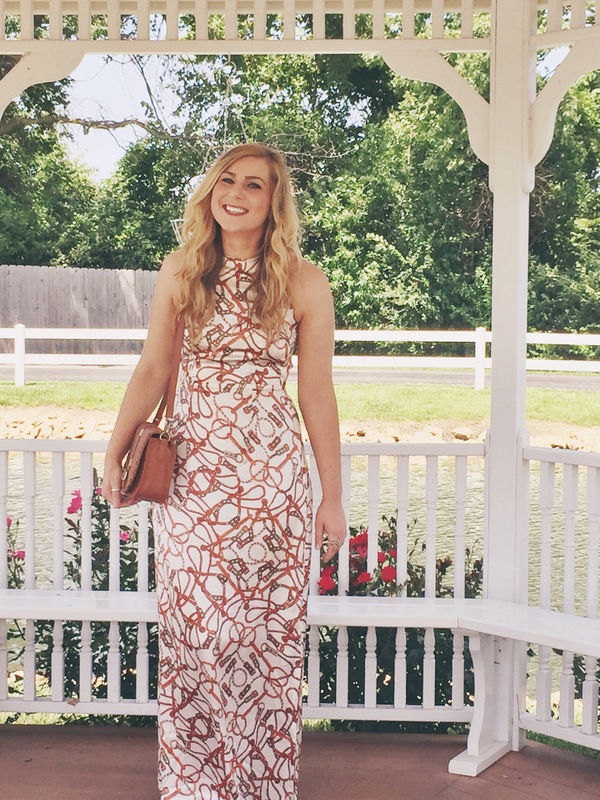 I wore a maxi dress because it was nice, but hot (last seen on the blog here). After doing some shopping (damage), we grabbed a bite to eat and then headed back to my sister’s apartment for a pool party. Her management was hosting a pool party event with a carnival theme, so there were snow cones and cotton candy! It was fun for a couple hours, then we decided to watch a movie. Sunday we ventured to the Plaza because I hadn’t seen that area of Kansas City before. It was gorgeous and we happened to “accidentally” stumble into H&M. It’s hard to resist 70% off sales. I bought this blouse for $7! It was crazy hot out yesterday, so we got some coffee, chatted and then she dropped me off at the airport. Such an amazing weekend with an amazing person! 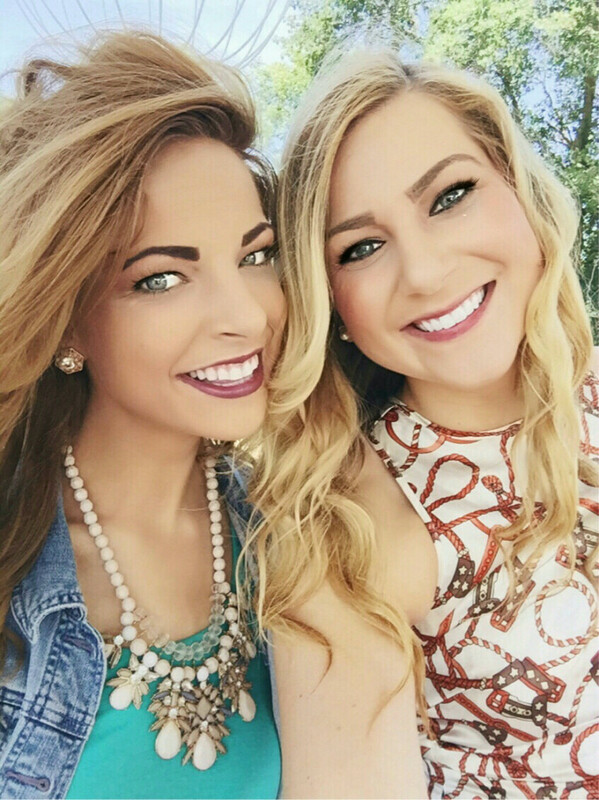 Luckily, she will be in town in a couple weeks for her internship and for my friend’s wedding, so I’ll get some more sister time then! How was your weekend? Next Custom Initial Necklace + Gemma Gray Giveaway! 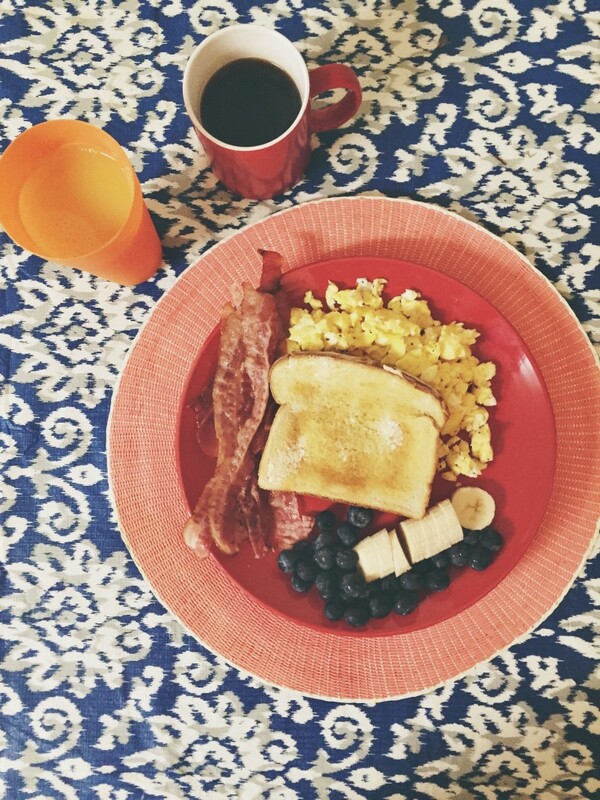 Glad you had a great weekend. You and your sister look great. Sounds like an awesome weekend – Kansas City is a fun city… I’ve been to the Plaza a few times – always a good time. That first picture of you two is just stunning!! you look stunning Rach and all this food is making me hungry. time with the sis is the best!!! i wish mine lived closer!!! y’all had so much fun! Aw so glad you had an amazing time with your sister!! That bbq looks amazing!!! Love sister time! Sounds like you had a great weekend and I love the bag! Your dress is so cute! The print is darling on you and it fits you like a glove! This looks like such an awesome weekend with your sister! Sounds lik a nice time with your sister. Both of you are are gorgeous! This looks like such a fun trip!! I went to KC with my hubby this past fall and really enjoyed it. Love your dress. Sister weekends are the best!! Looks so fun and makes me want to go visit my own sis. You two are gorgeous! It sounds like a fantastic weekend with your sister. You are both gorgeous in that closeup. I love each of your makeup. And that maxi dress is stupendous, Rachel!